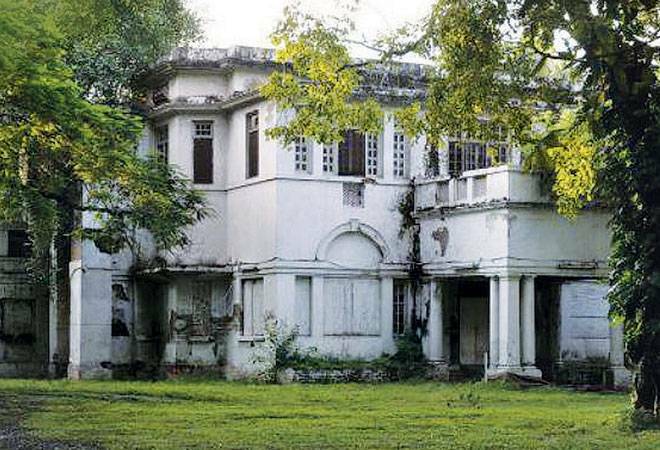 Over 50 former Members of Parliament who overstayed in Lutyens' Zone bungalows allotted to them have failed to pay their rent. 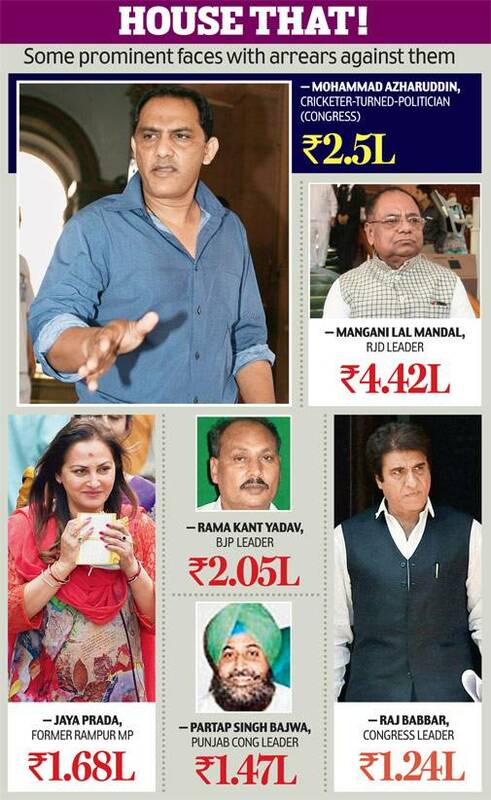 According to a reply to an RTI application filed by activist Subhash Agarwal, a sum of over Rs 90 lakh is due on former lawmakers for occupying official residences beyond their tenure. Gireesh Kumar Sanghi, ex-Rajya Sabha member who recently switched over to BJP from the Congress, tops the list of 56 MPs against whom there are dues ranging from Rs 1,969 to Rs 23.07 lakh. The list also includes BJP leaders Yashwant Sinha (Rs 3.84 lakh), Rama Kant Yadav (Rs 2.05 lakh), and late Dilip Singh Judeo (Rs 3.58 lakh). It also includes Congress leaders Partap Singh Bajwa (Rs 1.47 lakh), Raja Ram Pal (Rs 4.48 lakh), cricketerturned-politician Mohammed Azharuddin (Rs 2.5 lakh) and RJD leader Mangani Lal Mandal (Rs 4.42 lakh) among others. When asked about the dues, Sanghi expressed surprise and said that he had vacated the residence in 2010 when his membership got over and the bungalow at 7, Talkatora Road was allotted to someone else. "It looks surprising. I had vacated the house and it was allotted to someone else but dues are being shown against me. How can I pay the amount if somebody else has been residing there? I have received notices and also replied to them on this," Sanghi told MAIL TODAY. The directorate of estate (DoE) is responsible for providing bungalows to ministers while the Lok Sabha housing committee allocates houses to new MPs. Over 160 former ministers and MPs were sent notices to vacate their Lutyens' Zone bungalows and flats after the NDA government took charge. They were given enough time to enable their successors in the NDA government to move in. However, many of them continued to overstay for a long time. According to officials, the government starts charging rent when a MP or minister overstays in bungalows or flats allotted to them. Congress MP Adhir Ranjan Chowdhury was overstayed at the 14, New Moti Bagh residence for 19 months since the cancellation of his allotment in June 27, 2014 by the Urban Development Ministry - after he had ceased to be a minister in the Union Council of Ministers. As a Member of Lok Sabha, Chowdhury is entitled to a Type- VI accommodation. He was allotted an alternative accommodation by the House Committee of Lok Sabha. He later approached the courts. However, the Supreme Court refused to interfere with the Delhi High Court order asking him to vacate the bungalow. RTI activist Subhash Agrawal said, "There must have been an auto-provision of adjusting complete pension amount from the due rent. Election Commission should not allow former and present Parliamentarians and state legislators to contest any elections till they clear their pending dues and are not guilty of over-occupation of government accommodations after losing entitlement." While the common man's telephone and electricity connections are immediately disconnected over nonpayment, there is no such provision for the 'servants of people', Agrawal said.